I am pleased that you are interested in the products of Analog Tube Audio. The experience and the fun of listening to music with tube amplifiers in an analogue audio system has made me a convinced supporter of this fascinating technique. Furthermore, the foundation of Analog Tube Audio in 1997 goes back to this experience. Because we are convinced that the captivating account quality of a tube is unique, we have devoted ourselves completely to the development of tube amplifiers. 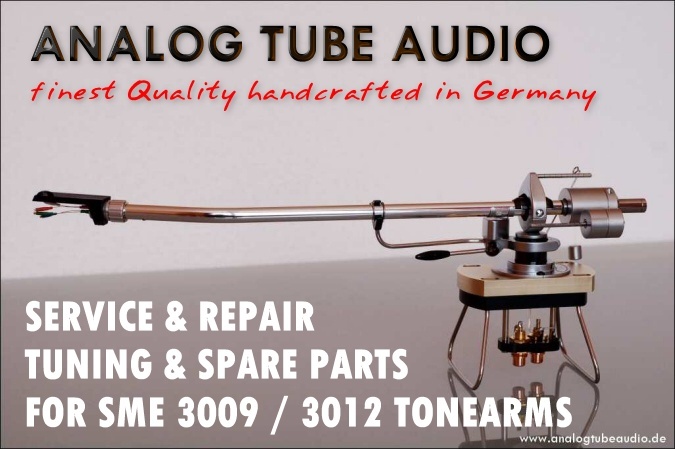 We are a small team which designs and manufactures the products of Analog Tube Audio in the north german Schiffdorf. The words of encouragement which we have received from our customers confirm us in our work. Every product is very carefully developed and offers the best possible quality to the listener of any kind of music. Ease and emotion of the music is centered less around the technical data than the music itself, and provides the listener with a unique and original musical experience.